Dr. Midhuna Prathap is working as a Specialist ENT Surgeon at Aster clinic, Abu Hail. 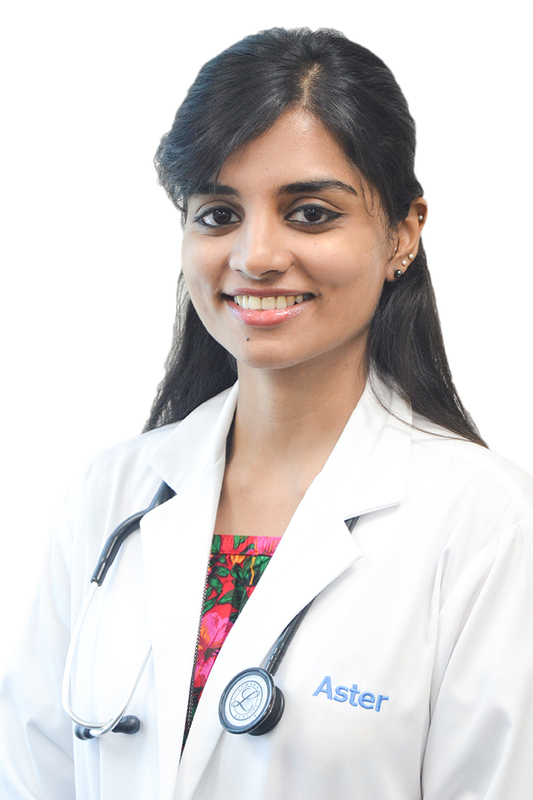 She has completed her MBBS and DLO from AIMS, MS (ENT) from KUHS University and DNB, New Delhi. She has completed her Fellowship in Endoscopic Sinus Surgeries from Chennai. She has experience of working both in India and Maldives. Research – Study of the effect of particle repositioning maneuver Epleys versus Semonts in the treatment of idiopathic BBPV of posterior semicircular canal. Isolated congenital alar rim cleft repair with interpolated melolabial flap, Journal of Oral and Maxillofacial surgery Vol 9 September 2015. Shop No: 2, Sheikh Suhail Building, Hor Al Anz East, Abuhail.